It’s important to understand your club’s rights and responsibilities when managing a situation involving a service animal. At first glance, it may be a disorienting sight: someone has just walked into your club with a dog. 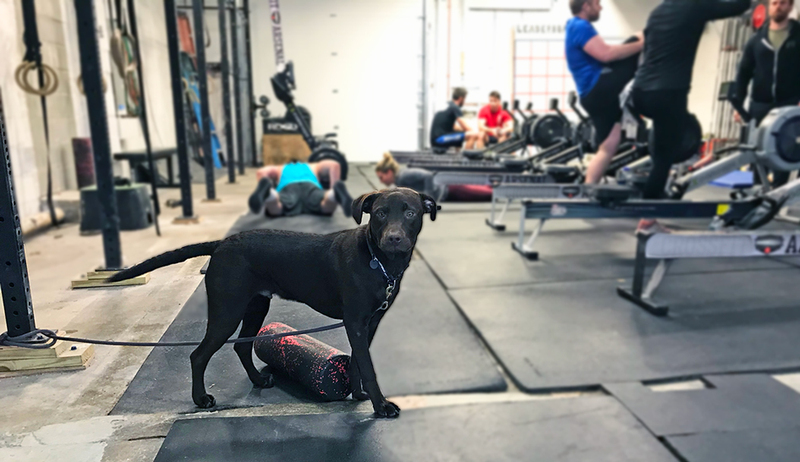 While your instinct may be to approach the individual and remind him of your club’s no pet policy, there’s a chance that the dog is a service animal and has a legal right to accompany its handler to the gym. Understanding what actions you can and cannot take in this situation is critical to ensuring that your club provides an accommodating environment for people with disabilities and avoids potential legal trouble. The Americans with Disabilities Act (ADA) grants protections to people with disabilities accompanied by service animals in all 50 states, and defines a service animal as “any dog (any breed) that is individually trained to do work or perform tasks for the benefit of an individual with a disability, including a physical, sensory, psychiatric, intellectual, or other mental disability.” The task(s) performed by the dog must be directly related to the person’s disability. Service animals may be readily apparent—as in the case of a seeing-eye dog—or may be less conspicuous. Under the ADA, it is illegal for places of public accommodations–including health clubs–to deny access to a person accompanied by a service animal in most circumstances. It is not necessary for an individual to visually distinguish a service animal from one that is not. Meaning a dog not wearing a vest with “Service Animal” printed on the side could still be a service animal. Furthermore, a dog can be considered a service animal without requiring formal training; legally the dog’s owner can personally train it to do work related to the individual’s disability. It’s important to differentiate service animals from emotional support animals, which are not afforded legal protections under the ADA. Health clubs and places of public accommodation are not required to allow in emotional support animals. The Department of Housing and Urban Development (HUD) defines an emotional support animal as an animal that “works, provides assistance, or performs tasks for the benefit of a person with a disability, or provides emotional support that alleviates one or more identified symptoms or effects of a person's disability." While an emotional support animal may be any species, ADA-recognized service animals are dogs—or in the rare case a miniature horse. Many states have adopted separate laws that strengthen the protections afforded to individuals who require the assistance of service animals. It is essential for club operators to comply with both the ADA and their state’s anti-discrimination law. How Should Health Clubs Handle Service Animals? A place of public accommodation must provide access to individuals with service dogs unless doing so would result in “a fundamental alteration or jeopardize the safe operation of the public accommodation.” A public accommodation may not discriminate against individuals with service animals in any way, including requiring that they pay an additional fee. When the service animal is out of control. When the service animal is not housebroken. What constitutes “under control” is dependent on the circumstances of the individual’s disability. While in most situations a service animal would be leashed, there are situations where this would not be necessary. For instance, a combat veteran suffering from PTSD may require a service animal to enter a public accommodation before him to confirm that the building is safe. However, a service animal would not be considered to be under control if it was acting violently or aggressively, or was repeatedly barking. A dog that barks just once, or that barks because something has provoked it, is not considered out of control. Further, a place of public accommodation may not refuse admission to a service animal due to concerns over allergies or fear of dogs. If a club manager wishes to remove a service animal from the premises for behaving violently, the manager should approach the individual and politely ask that the individual remove the service animal from the premises. The manager would need to assure the individual is welcome to use the public accommodation without their service animal. The DOJ has provided some clarity regarding swimming pools, writing that service animals are not allowed to use swimming pools at health clubs or other facilities, as this would violate public health rules. However, service animals must be allowed to access the area around a pool. How Can Clubs Judge if a Service Animal Is Legitimate? What work has the dog been trained to perform? It is important that staff know that these questions must be the extent of their inquiry; it is illegal for staff to ask for documentation relating to the legitimacy of the service animal or the individual’s disability or to ask that the dog demonstrate the services it provides for the individual. Litigation involving service animals illustrates the tenuous ground that public accommodations must walk when inquiring about service animals. In Dilorenzo v. Costco Wholesale Corporation, an individual brought a lawsuit against a Costco store for allegedly violating both the Washington Law Against Discrimination (WLAD) and the ADA by discriminating against her by inquiring about her service animal and the work it performed for her. Ruling in favor of Costco, the judge noted that the Costco employees’ inquiries were in line with the Department of Justice’s guidance and did not constitute discrimination. Additionally, in 2005, the Delaware Supreme Court affirmed a lower court’s ruling that a casino was within its purview to deny access to an individual who refused to answer staff’s inquiry into the nature of the dog’s training. However, while the state Supreme Court eventually ruled in favor of the casino, the Delaware Human Rights initially determined that the casino violated the Delaware Equal Accommodations Law and penalized the casino $5,000 (Thompson v. Dover Downs Inc.). In recent years, many states have passed laws making it illegal to misrepresent a service animal. For instance in California, it is a criminal misdemeanor for a person to “knowingly and fraudulently” misrepresent a service animal, punishable by a maximum penalty of $1,000 and a six-month jail sentence. It is best to approach these laws as warnings to individuals who would be tempted to misrepresent a service animal as opposed to a license for businesses to scrutinize individuals who bring a service animal to their health club. If an individual with a service animal answers affirmatively to the two questions mentioned above, one should assume that the dog is, in fact, a service animal. If a health club would like further information regarding service animals, it may submit a question to IHRSA or contact the Department of Justice’s ADA Information Hotline or the appropriate state agency that issues guidance on questions regarding disability access. Having an Americans with Disabilities Act-compliant website ensures that all people can access your site’s content and can prevent a lawsuit down the road. Here’s what gym operators need to know.